Leading Manufacturer and Exporter of Stone Temple such as Marble Temple, Red Sandstone Temple, Marble Stone Temple, Carved Stone Temple, Marble Garden Temple, Stone Marble Temple and many more items from Jaipur. 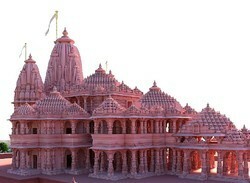 Keeping in mind the precise demands of clients, we offer a wide range of Red Sandstone Temple. These are available with us in various styles, designs and color combinations following the exact demands and specifications of clients. Owing to its classy look and designer appearance, these are also available with us in customized designs and range. 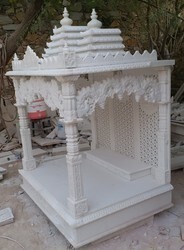 Stone Art Hub is a leading Manufacturer and Exporter of Temple Architect such as Temple Work Contracts, Temple Construction Service, Temple Mandap Architect, Temple Developers, Hindu Temple Constructions, Temple Carving Work and many more items from Jaipur. 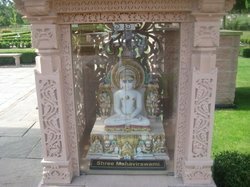 With the availability in various range and specifications, these temples are extensively demanded by various numbers of clients Carved Stone Temple. These are admired for their elegance, attractiveness and appealing look. Following the precise demands and requirements of clients we offer these in various styles, designs, range and color combinations. These are acclaimed for their intricate designs and appealing look. 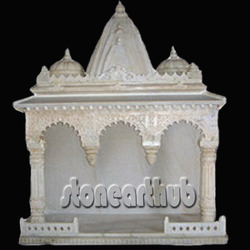 Stone Art Hub is widely recognized for offering Stone Temple to the clients. 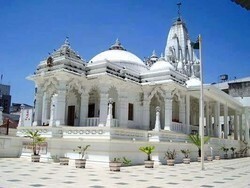 Stones such as granites, marbles and others have been used in the development of this Stone Temple. This Stone Temple is designed using the modern architectural styles and is at par with the set quality standards. 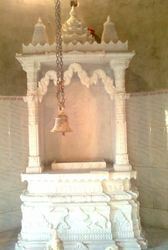 Moreover, this Stone Temple could easily be designed as per the client's choice. 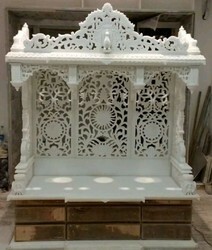 Stone Art Hub has got a reputation in carving designer Makrana White Marble Temple, Stone Tample that is available in a diverse assortment of mouth watering designs. 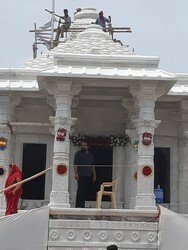 We offer these temples with or without god and goddesses and with that we can also provide customized solutions as per the client specifications. To meet the diverse requirements of our customers, we further expand our range of temples through various shapes and sizes. 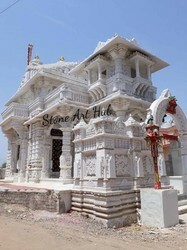 We are highly engaged in dispatching a superior range of Stone Marble Temple. 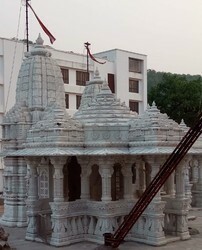 This range of stone marble temple is developed using premium grade raw marble and allied material in complete adherence with the industry laid norms and standards. 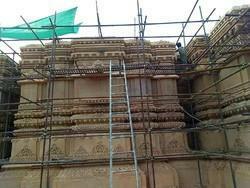 Being the reckoned name of the industry, we are involved in offering Marble Temple. 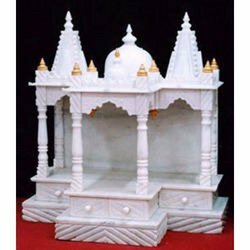 These Marble Temples that we offer are manufactured from high quality marble materials. 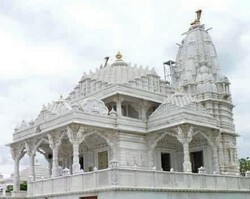 The Marble Temples are highly appreciated for the unique pattern and fine finish. 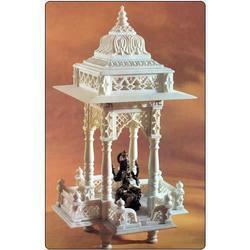 These Marble Temples are highly durable in nature. 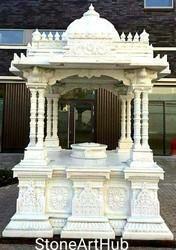 We are one-step ahead of our competitors in offering a wide range of Marble Garden Temple. 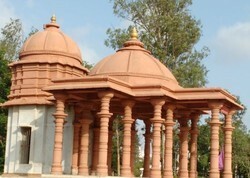 These temples are very appealing and admired for uniqueness, fine finish and elegance. 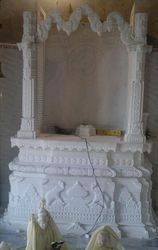 Following the demands and specifications of clients, we offer these temples in various range and designs. These are also available with us in customized designs and finish.